Although Bloomberg was quick enough to point out this week that Facebook makes us more dumber, old habits die hard. I have always found it useful to a degree. It especially gets me ecstatic when I discover a friend that i have not connected in ages. It brings about many nostalgic memories. So no matter what Bloomberg thinks, I’m still on FB for now. 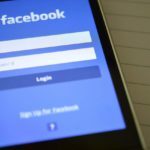 For all Mac users, there were rumors circulating this week that FB intends on releasing a new Facebook messenger app for the mac. I read up on it on Macrumors today. Using FB on iOS is pretty seamless and easy. Although the messenger app does not exist as of now, El Capitan however does provide some nice integration opportunities when it comes to Facebook. 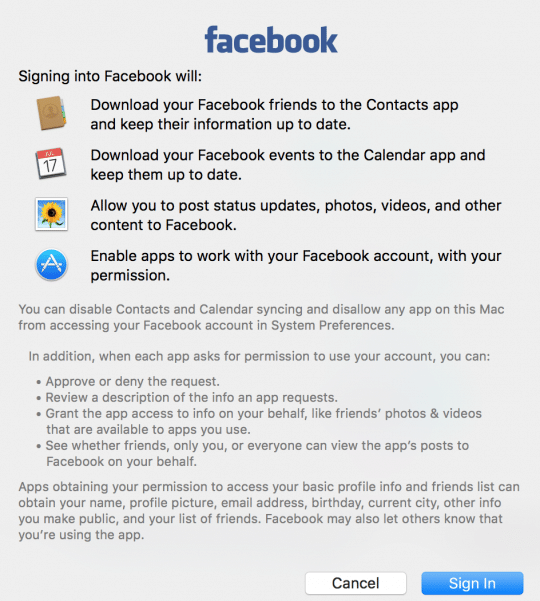 The Facebook integration on Mac is not new by any means. 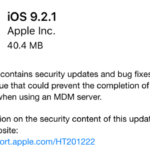 It has been around since Apple introduced Mountain Lion 10.8.2, although the first release of Mountain Lion only had Twitter integration. FB integration on El Capitan works very much like the earlier OS X editions. On El Capitan you do have the ability to “pin” the FB page on Safari. Pinning sites keep them running actively in the background, so when you switch back to them you don’t have to worry about refreshing to see the latest updates. 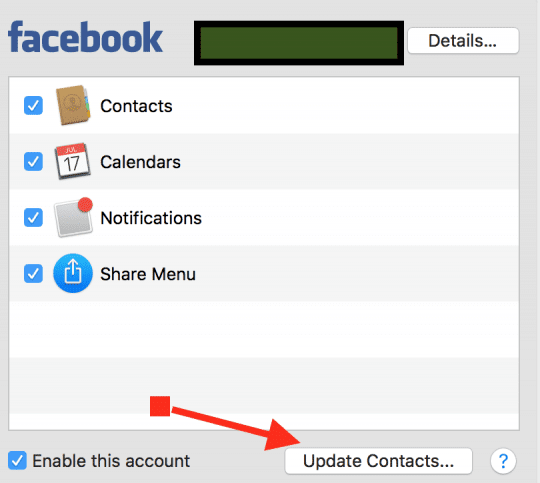 When you integrate your Facebook account with El Capitan, it keeps track of your contacts. 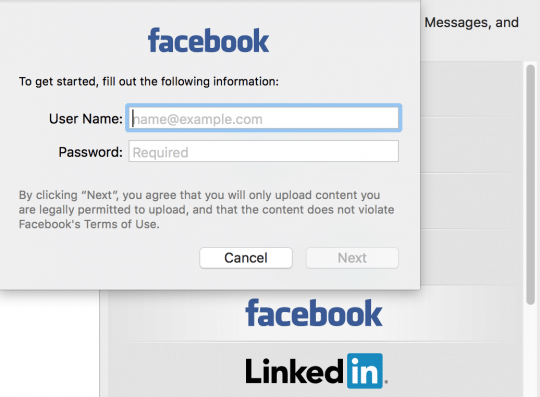 It syncs your Facebook friends into your contacts on the mac. 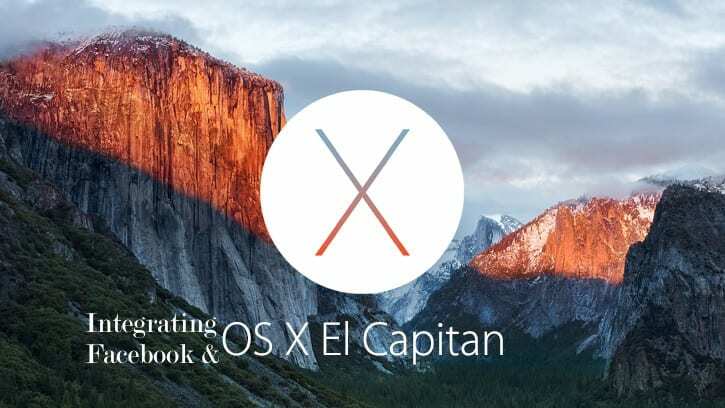 When your friends make any changes to their profile , El Capitan automatically updates it in your Contacts app. “Share” features in El Capitan, accessible across different apps make it easy to share content with your FB friends as well. 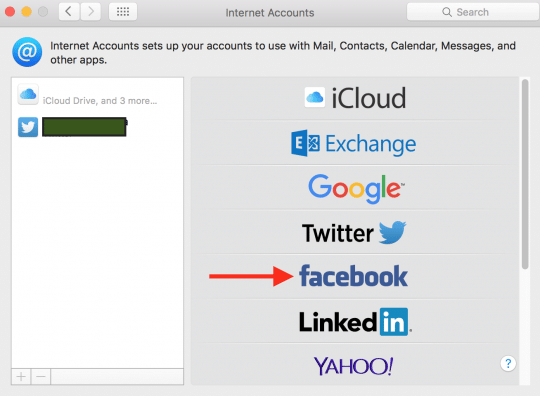 In this article, we will show you how to connect your FB account to your El Capitan on your Mac. 2 Step – > 2. Upon Clicking Enter your Facebook Credentials. 3 Step -> 3 Review the Permission Summary and click on Sign in. 4 Step-> 4 On the next screen, by clicking on “Update Contacts”, you will have the option to update your Contacts app with pictures for your contacts from FB. 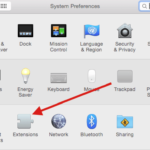 Go to System Preferences > Internet Accounts (In the third row). Click Facebook in the next screen as shown below. Step – > 2. Upon Clicking Enter your Facebook Credentials. Step -> 3 Review the Permission Summary and click on Sign in. Step-> 4 On the next screen, by clicking on “Update Contacts”, you will have the option to update your Contacts app with pictures for your contacts from FB. 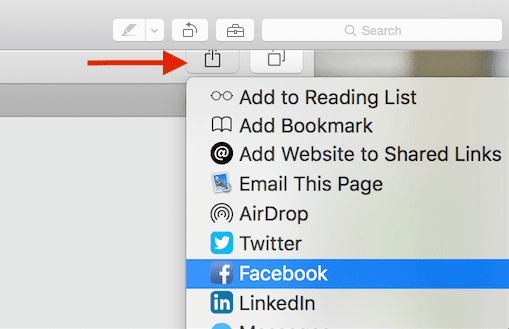 Now that you have set up the integration between El Capitan and Facebook, sharing just got a whole lot easier for you!! For example, when you are in Safari and you want to share a page on FB, you can click the Share button in the address bar and choose FB to share it easily as shown below. The same is true for sharing photos. Once you locate a photo in your Finder, you can right click and select Share > Facebook. 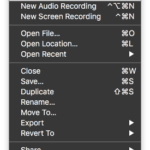 You also can choose to control how you want the FB notifications to arrive to your Mac by going to System Preferences > Notifications > Choose Facebook on the left pane. I have set it to None so that it does not disturb me while I’m in the middle of working. 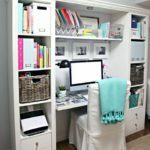 You can select the option that works best for you. 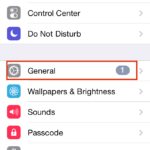 There are lot of options available for you to check out including using location services while posting. 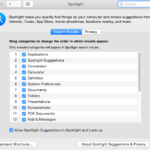 If you do decide on using location services for FB posting, one recommendation is to make sure your check your privacy options by going to System Preferences > Security & Privacy > Privacy Tab and reviewing your options for Facebook. Please let us know what you other tips and tricks that you have discovered in using Facebook on your Mac.